We start our look at test automation with the first of three fundamental testing tools: assertions. 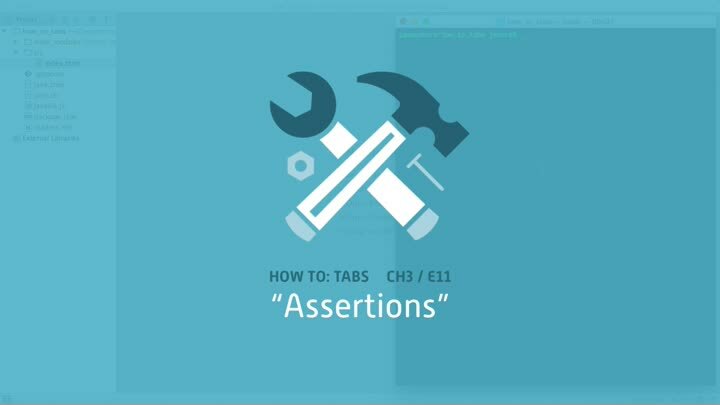 We start from first principles by building our own assertion function, then introduce the popular Chai assertion library. Along the way, we touch on exception handling and take a look at the pros and cons of different assertion styles.